CRAZY COOL GROOVY!!! 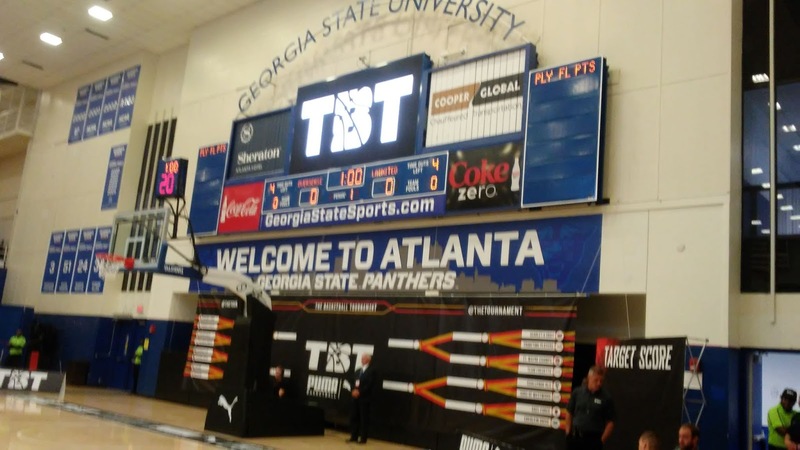 : CCG At THE BASKETBALL TOURNAMENT: SUPER 16 At GSU SPORTS ARENA!!! CCG At THE BASKETBALL TOURNAMENT: SUPER 16 At GSU SPORTS ARENA!!! 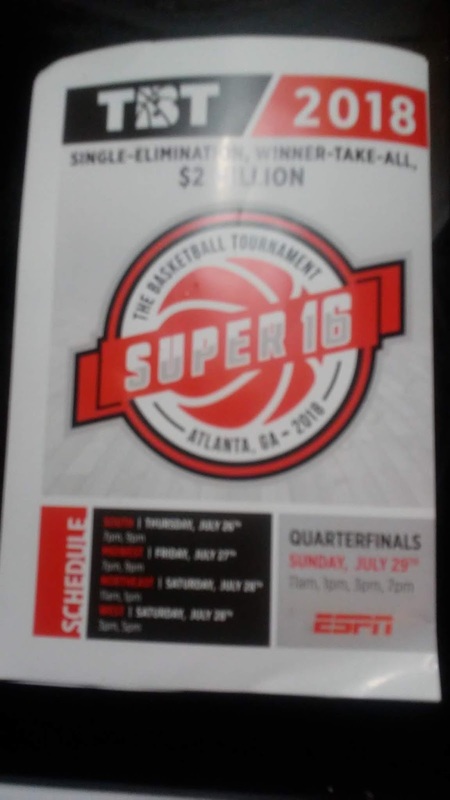 Last Friday, July 27, Yours Truly CCG had the opportunity to attend THE BASKETBALL TOURNAMENT 2018: SUPER 16 ROUND that took place at the GSU SPORTS ARENA on the campus of GEORGIA STATE UNIVERSITY in Downtown ATLANTA!!! 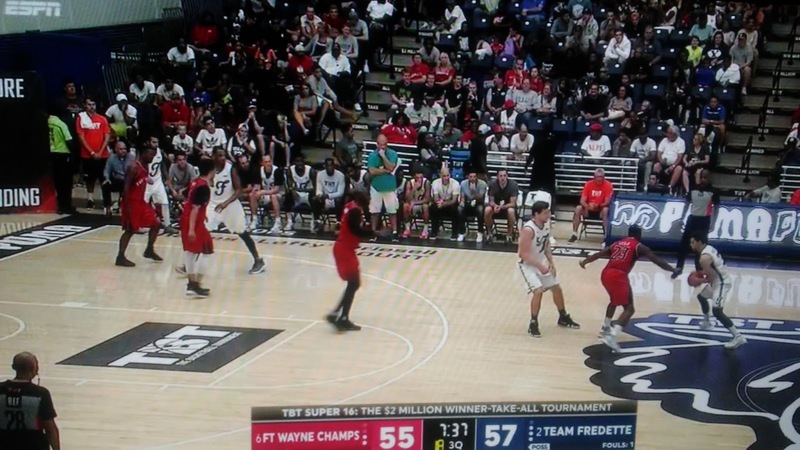 THE BASKETBALL TOURNAMENT (TBT) is a Single-Elimination, WINNER-Take-ALL, $2 Million Basketball Tournament that is broadcast LIVE on ESPN. If you freeze the ESPN video at .30, you will see Ya Boy seated in the first row of the bleachers directly behind the man seated on the bench directly next to the Scorer's Table. He is wearing a red t-shirt. 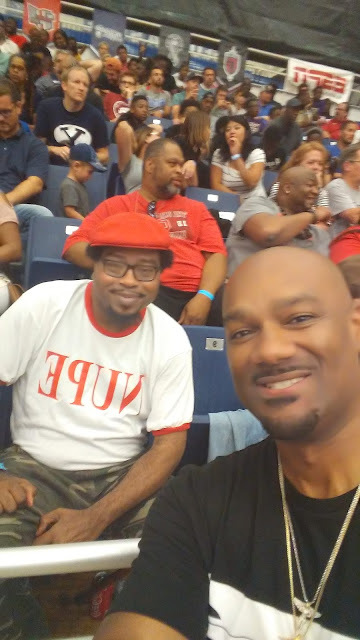 CCG is wearing a red Kangol cap and white t-shirt that says NUPE in red letters. In the above photo, CCG is seated in the first row, fifth from the right. Ya Boy was able to witness the SLAM DUNK CHAMPIONSHIP and the first game of FORT WAYNE CHAMPS vs TEAM FREDETTE, which was won by TEAM FREDETTE. 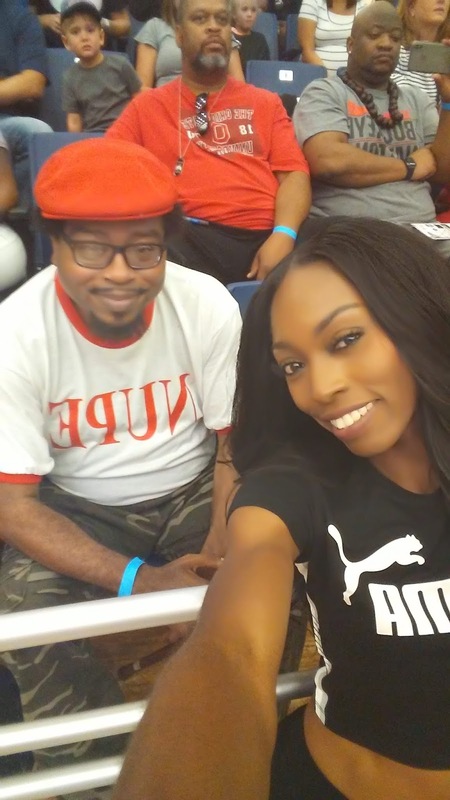 Was BLESSED to meet international Model-Actress-Celebrity Ms. BASKETBALL and V-103 ATLANTA Host BIG TIGGER.